Is it about time to rearrange your home office or your office at work? You might want to consider using feng shui when doing so. Feng shui, in simple terms, is a way of arranging objects or designing spaces that focuses on energy in relation to where things are in relation to one another. People use feng shui in their homes as well as in their office spaces in order to optimize the amount of positive outcomes that occur in a particular place. Here are 6 items you need to have in your office if you want to give feng shui a try. There is one thing all feng shui experts recommend when rearranging your office space: de-cluttering. The more clutter you have packed into a small space, the more unbalanced the energies are in that space. Papers scattered all over, everything out of place, it just won’t work. 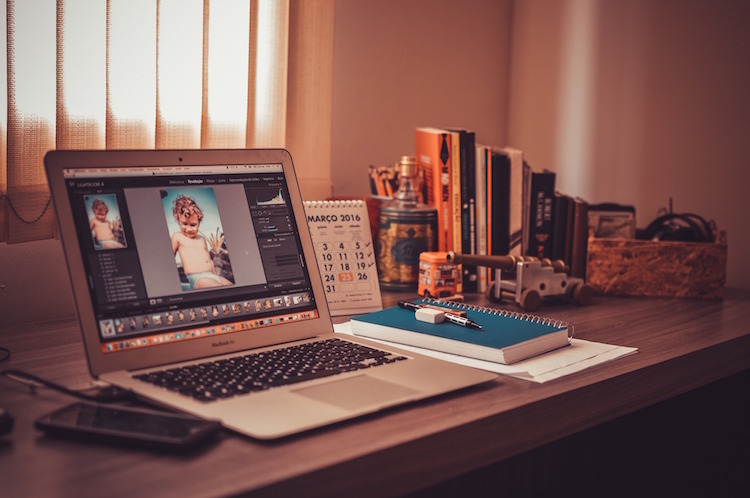 Removing clutter from your office will completely reset the balance of your work space and allow you to work in a much cleaner, calmer environment from day to day. Too much clutter can make us anxious and distract us from the things we need to accomplish while at work. A filing cabinet is one way to begin to remove some of the clutter and disorganization in your office. It can help you organize any stray folders and documents that might otherwise take up space on your desk, or worse, begin to pile up on the floor. Keep your desk free of distractions like notes and paper. Another object that will fit in well when decorating your feng shui office is a decorative shelf or two on your walls. Feng Shui is all about balance and harmony, so it’s important to place things like furniture and decorations not only on the floor, but on the walls around your office as well. The added advantage of adding shelves to your office is that they allow you to store not only things like books, but also picture frames, trinkets and other elements that make you feel focused and energized as you work. An important thing to note here is to make sure not to use shelves like these to pack in more “stuff.” The point is to add a decorative element to your work space that doesn’t take up more room or add more clutter. You can still store things there, just try to keep it as minimal as possible. In feng shui, there is something called a power position, and it probably doesn’t mean what you think it does. When arranging the furniture in your office, the location at which your desk sits in proximity to the door, and the way your desk and chair are facing, is essential to productivity and positivity. When deciding where to put your desk, make sure it is as far away from the entrance to your office as possible. Also make sure that it is arranged so when you sit at it to work, you are facing the door. The idea behind this is that you are facing everything that comes your way head-on and can better handle the situations and people that come to you. Another important component of feng shui in your office is stress relief. The more stressed out you are, the less you will be able to accomplish and the less productive you will be from day to day. Anything, even the smallest elements and arrangements, can cause stress. Some experts suggest purchasing furniture with rounded edges to relieve unnecessary stress from your office. If you can’t get furniture with rounded corners, it is also suggested as an alternative that you keep all sharper edges out of the normal walking path through your office. Going along with the stress relief theme, also essential for your feng shui office is good, calm lighting. This doesn’t mean you keep the lights so dim that you start to feel sleepy and don’t actually end up getting any work done. Harsh lighting, however, can be detrimental to your stress levels. Tone down the lighting in your office for a more calm and productive work environment. Use a lamp with a shade rather than a fluorescent desk lamp to keep your work area bright without making it too harsh. Avoid furniture with surfaces that produce a harsh glare when light shines on them. Natural light, if possible, is also a great way to brighten up your space, so if it’s possible to have your desk near a window, you will greatly benefit from spending the majority of your day in that space. Bonus: if you’re in a place where you can open the window a crack, the fresh air will also help you remain calm. The last thing you want when considering the elements you put into your office is to leave your walls completely bare. With so much on the floor, that offsets the overall balance of the room. Besides, adding decorative elements like photos or artwork can actually help increase your good energy. Feng shui is about not only balance, but good energy as well. If you strategically decorate your walls with photos or artwork – images that represent your goals and passions, or reflect the kind of energy you want your work space to give off – you will have a much more positive experience. Whatever your job, you want to do good work. Using feng shui, and these six objects to get you started, may be able to help you do better work and stay more productive as the days go on. Fill your office with things that motivate and inspire you, and things that make you glad to be there. Choose colors that calm you and lighting that suits you. You just might find that a few simple changes in the way you arrange your office can make a huge difference in your productivity and quality of work overall.